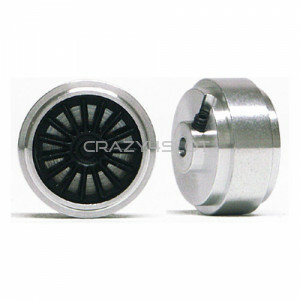 Slot.it aluminium wheels 15.8x8.2mm, M2 grub screwPack of 2 wheels.Old Slot.it references: WH1050..
Slot.it aluminium wheels 15.8x8.2mm short air hub. 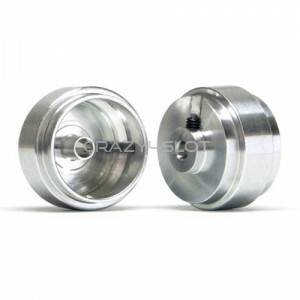 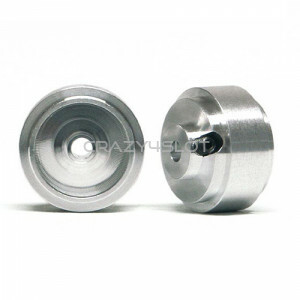 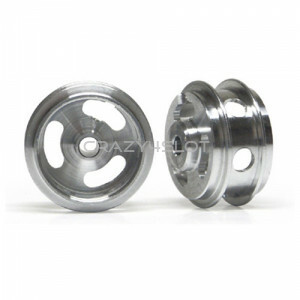 Pack of 2 wheels.Old Slot.it reference: PA..
Slot.it aluminium wheels 15.8x8.2mm short air hub holed Wheight: 1.0 grams Pack of 2 whee..
Slot.it aluminium wheels 15.8x8.2mm short hub, comes without inserts. 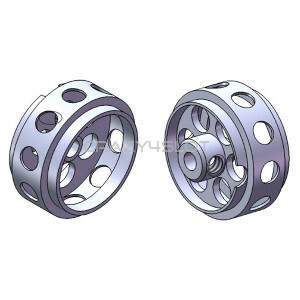 Pack of 2 wheels.Old Slot.it ..
NSR Aluminium Wheels 16.5x8.2mm Air System Ultralight aluminium wheels with holes for lowest ..
NSR Aluminium Wheels 16.5x8.2mm No Air System Ultralight aluminium wheels with holes for lo..
Slot.it aluminium wheels 16.5x8mm without inserts. 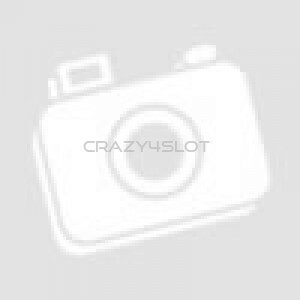 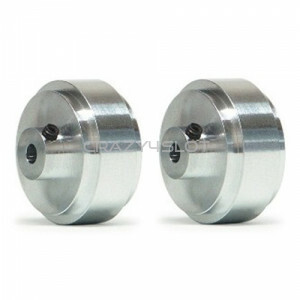 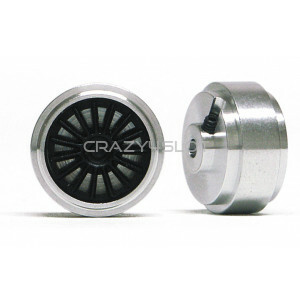 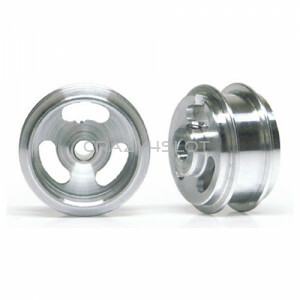 Pack of 2 wheels.Old Slot.it reference: PA..
Slot.it aluminium wheels 17x9.75mm short hub. 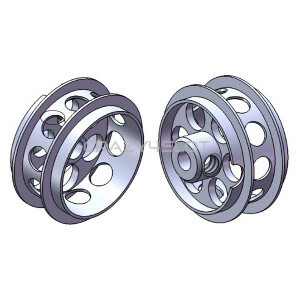 Pack of 2 wheels.Old Slot.it reference: PA62-AL..
Slot.it aluminium wheels 17.3x8.2mm standard hub of 2.5mmPack of 2 wheels, without inserts.Old Sl..
Slot.it aluminium wheels 17.3x8.2mm short hub of 1.5mm, without inserts.The short hub is conceive..
Slot.it aluminium wheels 13.6 x 9.5mm for sponge tyres, equivalent to a 15.8mm standard diamete..
Slot.it aluminium wheels 14.2 x 9.5mm for sponge tyres, equivalent to a 16.5mm standard diamete..
Slot.it aluminium wheels 15 x 9.5mm for sponge tyres, equivalent to a 17.3mm standard diameter ..
PRS Aluminium Revo 2 Wheels 14.3x10mm, for PRS 32467 tyres. 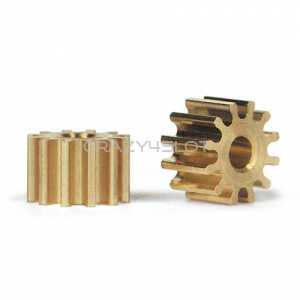 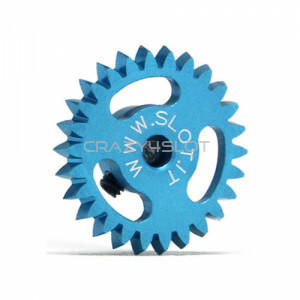 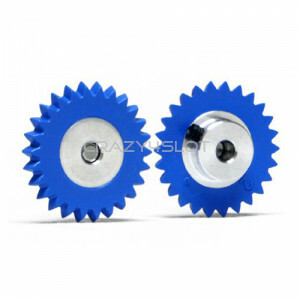 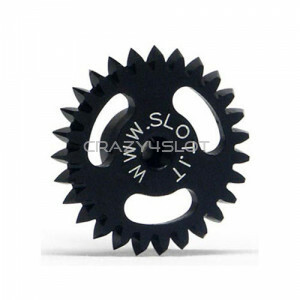 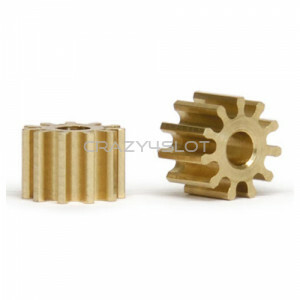 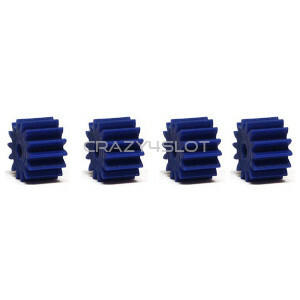 ..
NSR Anglewinder Blue Nylon Pinions 14 Teeth, 7.5mm diameter Less weight and friction compared t..
Slot.it anglewinder brass pinion 11 teeth, 6.75mm diameter, suggested with Flat 6 motor in angl..
Slot.it anglewinder brass pinion 12 teeth, 6.75mm diameter, suggested with Flat 6 motor in angl..
Anglewinder crown 26 teeth plastic, 16mm diameter, 1.5mm thickness and only 0.63g of weight ..